Ikea has devoted one of their newest lines Tänkvärd to personal well-being. This global furnishing company understands that a part of self-care is making your home as hygge as possible. Nowadays in order to achieve that Instagram perfect living room, we’re having to shell out tons of money and to be honest, that’s not most of our realities. Self-care means something different to everyone. It’s an act of doing something for yourself so you can show up and be the best version of yourself later on. For some it may look like going to yoga a couple times a week, taking a bath after a long day, and for others it could be cooking a wholesome meal and binge watching Netflix for the rest of the night. 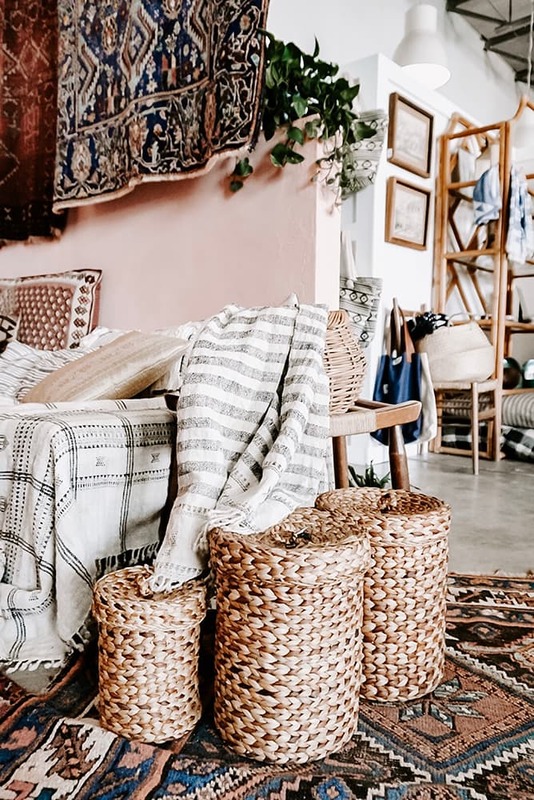 More so we’ve been seeing a rising trend of people viewing their homes as sanctuaries, and whatever your Pinterest may look like, you don’t need a large bank account to achieve that calm peaceful feeling. Ikea’s Tänkvärd collection launched earlier this month and its main focus highlights natural materials and soothing motifs. You’ll be able to see raw linen and an array of indigo patterns and designs to increase maximum chill-ness. Ikea even created it’s very first kimono to really help you feel indulgent. Not to mention they use rattan, which is a wonderfully sustainable material. This collection is a great blend of Scandinavian coolness intermixed with Japanese calmness.